The first National Opens of 2012 were completed Monday (or not completed at all in the case of Augusta, Georgia and San Antonio, Texas), with the results of the final singles matches listed below. I realized sometime last month that I had never posted the November 2011 National Open results, so if you are interested is seeing those in one place, I have posted them with a more chronologically appropriate date here. Matthew Gamble(6) def. William Blumberg(5) 7-6(3), 3-0 ret. inj. The BNP Paribas Open in Indian Wells, which begins with qualifying next week, announced its wild cards, with the bulk of them going to Americans. Denis Kudla, Jack Sock, Sam Querrey and Robby Ginepri join David Nalbandian of Argentina as main draw wild cards on the men's side, while Lauren Davis, Sloane Stephens, CoCo Vandeweghe, Irina Falconi, Jill Craybas and Jamie Hampton received main draw wild cards on the women's side. Urszula Radwanska of Poland and Sania Mirza of India also received main draw wild cards. Qualifying wild cards were given to Dan Kosakowsi, Steve Johnson, Tim Smyczek and Belgium's Steve Darcis on the men's side, and Julia Cohen and Monica Puig received wild cards into the women's qualifying. There are three remaining women's qualifying wild cards to be distributed. A pre-qualifying tournament is underway now to determine a men's and women's qualifying wild card. Last year I believe all four finalists ended up getting wild cards into the qualifying. 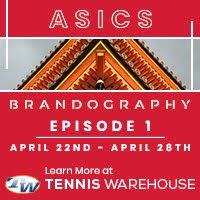 Madison Keys, Sachia Vickery, Maria Sanchez, Amanda Fink and Jessica Pegula are among the well-known names in the women's pre-qualifying; Kristofer Yee and Dennis Novikov are among those still alive in the men's draw. The draws for the pre-qualifying can be found here. University of South Carolina head women's coach Arlo Elkin is stepping down immediately due to health reasons the school announced yesterday. Associate head coach and former player Katarina Petrovic has been named interim coach. Last month, Oklahoma State announced the retirement of James Wadley, their men's head tennis coach for the past 40 years, effective at the end of this season. For a complete review of his four decades with the Cowboys, see this release. Big Shakeup in ITA Team Rankings Results in UCLA Claiming Top Spot; What are College Coaches Looking for in Recruits? The season's first computerized rankings were announced today by the ITA, and UCLA, which was third in last week's poll results, has ascended to the top spot in the women's rankings. USC is now No. 2, followed by Duke, Georgia and Tennessee. Where are Stanford and Florida, voted No. 1 and 2 last week, this week? At 11 and 15 respectively. Last year, it was obvious the computer rankings didn't work when Stanford, coming off the ITA Team Indoor title earned by beating Florida in the final, was ranked second and Florida first. This year, it's still obvious the computer rankings don't work, because if you think there are ten teams better than Florida and Stanford, you are wrong. The huge disparity between last week's final poll and this week's computer rankings (see below) provides all the evidence necessary for either a) fixing the computer ranking system or b) scrapping it. I know the rankings will get increasingly more accurate as the season continues, but they don't provide the "snapshot" they should regarding the relative strength of teams right now. Ask No. 4 Georgia if they think Memphis, whom they beat at home 4-3 last week in the last match on at No. 6, belongs outside the Top 75. The men's side is less controversial, with USC and Ohio State, the ITA Team Indoor finalists, at 1 and 2. But UCLA at 3? Over Virginia, Duke and Georgia? That doesn't add up. It does however, make for a little extra buzz when USC and UCLA play tomorrow in Westwood. And just like the Stanford-Florida dual match two weeks ago, we have another No. 1 vs. No. 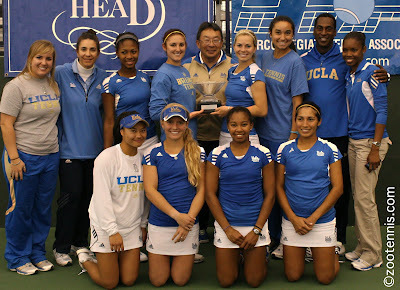 2 on the women's side, with UCLA traveling to USC on Thursday for a rematch of their recent Indoor semifinal, which the Bruins won 4-0, although it was much closer than that score would indicate. The top players in the individual rankings didn't change, with Florida's Allie Will and Virginia's Mitchell Frank staying No. 1. Texas A&M's Cristina Sanchez-Quintanar jumped from 14 to 4 in the women's rankings, while on the men's side, USC's Steve Johnson is up to No. 5, after being unranked to start the dual season. The No. 1 spots in doubles remain in the possession of Ohio State's Chase Buchanan and Blaz Rola and Stanford's Mallory Burdette and Nicole Gibbs. For complete rankings, see the ITA website. The Parenting Aces blog is featuring a two-part look at what college coaches are looking for in a recruit. 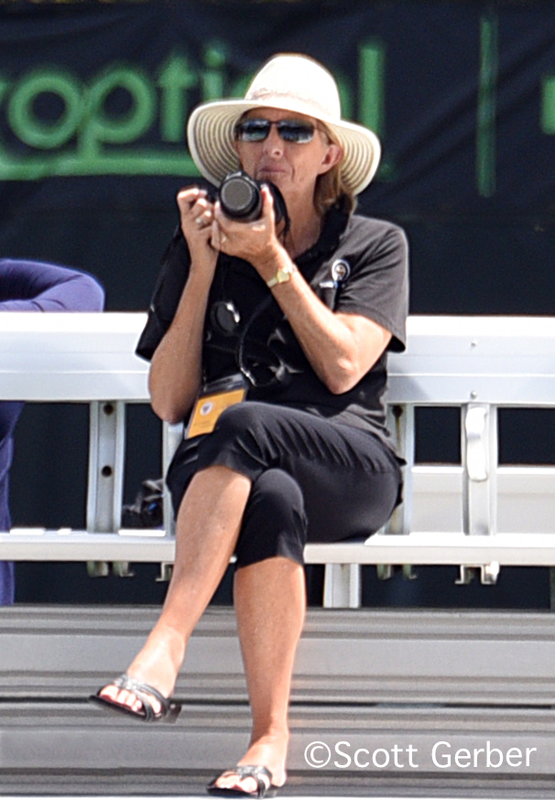 Lisa has spoken with Patrick McEnroe, Manny Diaz and other administrators and coaches about the process and the issues associated with finding a spot on a team. She also provides a list of links to other resources for those wanting to delve deeper into the topic.